Transparency International Sri Lanka (TISL) says it has alerted the Commission of Inquiry (CoI) into Allegations of Large Scale Fraud and Malpractice in SriLankan Airlines to alleged corruption surrounding the controversial procurement of Airbus A350 aircraft by the national carrier. The German publication Der Spiegel has on repeated occasions flagged the allegations of bribery and corruption in the procurement of Airbus aircraft. In a letter to the CoI in August this year, TISL highlighted that the aircraft manufacturer Airbus and its subsidiaries are under investigation in several jurisdictions for allegedly paying bribes in order to win billions of dollars of contracts. 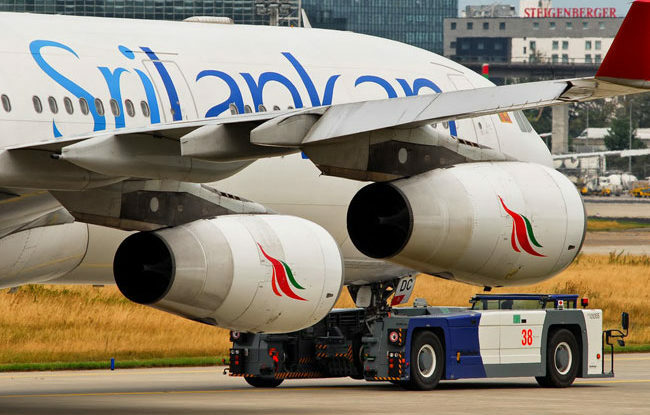 TISL said it believes these investigations are of particular interest to the Sri Lankan people given the fallout following the cancellation of SriLankan Airlines’ planned purchase of Airbus A350 aircraft which led to the state having to pay in excess of Rs. 15 Billion as cancellation costs. In June this year, TISL co-signed a letter along with Civil Society Organisations (CSOs) from France, Indonesia, Tunisia, the UK and the US, addressed to the Head of the UK’s Serious Fraud Office and copied to France’s Parque National Financier, the US Department of Justice and the Organisation for Economic Cooperation & Development (OECD) calling on their investigating agencies to ensure that any allegations connected to the procurement of Airbus aircraft are properly investigated and where necessary, legal action is initiated. “Key among the recommendations made by the CSO’s is that in instances where it is proven that Airbus or its agents have paid bribes, the aggrieved countries are compensated for harm caused,” TISL said in a statement. The CSO’s joint statement and a report compiled by Corruption Watch UK on the allegations of bribery and corruption at Airbus were also referred to the Commission of Inquiry, it said. TISL Executive Director Asoka Obeyesekere said, “We respectfully call on the Commissioners to ensure a comprehensive and transparent investigation of the A350 deal, especially considering the burden placed on the country as a result of the cancellation costs. As Airbus’ parent company EADS is listed in France, the OECD guidelines for multinational enterprises apply. This provides a framework for the recovery of any monies that may have been earned through bribery or corruption”.